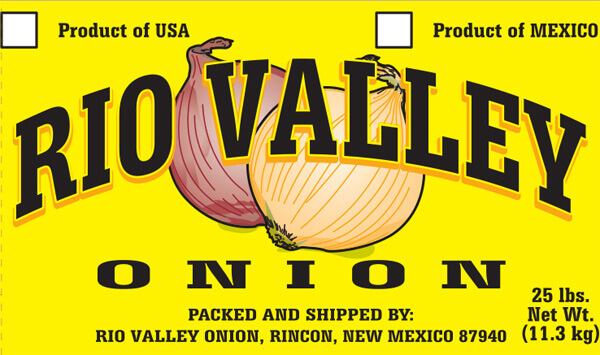 All-purpose and most popular, approximately 87% of the U.S. onion crop is comprised of yellow varieties. Yellow Onions are full-flavored and are a reliable standby for cooking almost anything. Yellow onions turn a rich, dark brown when cooked bringing out this variety’s nutty, mellow, often sweet, quality when caramelized. Approximately 8% of the U.S. onion crop is dedicate to red onions. This variety has gained popularity in food-service on salads and sandwiches because of its beautiful purple color. Red onions are milder in flavor compared to other common onions including white and yellow, and are favored for their sweet flavor. They are a good choice for lots of fresh uses as well as grilling, charbroiling and roasting. White onions account for approximately 5% of the United States onion production. This onion is more challenging to grow and store as the bulb is encased in a bright white skin that easily intensifies any imperfections. Used extensively in Mexican cuisine such as street tacos and salsa, white onions are favored by chefs and home cooks for their mild, semi-sweet and sharp flavor. These storage onions are sweet because they have a lower concentration of sulfur allowing the sugar content to stand out. People who like onions but dislike the strong taste, will find sweet onions a good alternative. Sweets are available year round from many different shipping geographies, including the United States, Peru and Mexico.